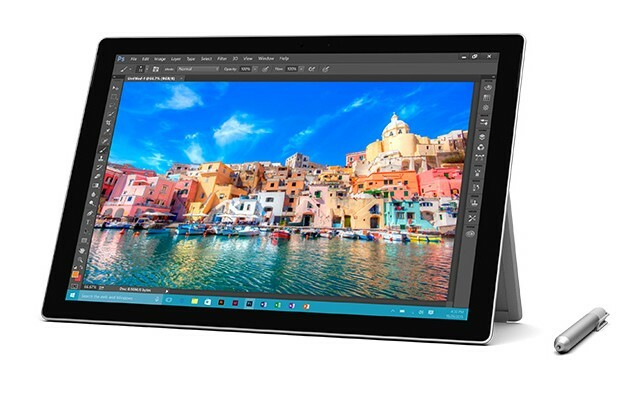 The Microsoft Surface Pro 4: Will It Live Up To The Hype? For months, Microsoft developers have been anticipating the arrival of Surface Pro 4, which recently became available to purchase in North America and is a significant upgrade on the previous Surface Pro 3. Today I got talking with Simon Kalp, the Technical Director at Objective IT, who was one of the first developers in the area to get his hands on the new device. According to Microsoft, the Surface Pro 4 256GB/8GB RAM version will achieve up to nine hours of battery life, which means if you were to spend an average of 1-2 hours on it each day, you would only need to charge the device approximately every 5-7 days. Another fantastic benefit of Pro 4 is that it has the Windows 10 platform, which has already been hailed as a much more streamlined, versatile version than Windows 8.1. The new version can even be integrated with the Xbox app, and will have OneDrive synchronisation so you’ll have no trouble backing up your files when you’re not using your computer. There has been a significant improvement in the integration of the Cortana personal assistant app, which can now manage all your search commands and activate various other specific functions. You can even get Cortana to integrate with a new app so that it can become accessible by voice control, or send messages to friends or work colleagues on your behalf. The Start menu is also back, which will be a sigh of relief for many Windows users who missed this feature in previous versions and campaigned to see its return. This is all great news to windows app developers, who will hope to that their skills are in higher demand as more people move away from Android and iPhone to embrace Windows once again. Thanks to its high resolution and bigger screen, Pro 4 should be interpreted as a big step up from its predecessor, although, disappointingly, customers will still have to buy a Type Cover keyboard separately. Additionally, there are also that the Pro 4’s keyboard is still difficult for people to use on their lap, although it is fortunately lightweight and easy to carry around. However, the keyboard pressure appears to be comparable to that of a laptop, which should certainly appeal to people who have to do a significant amount of e-mail marketing or copywriting/content writing for their day-to-day work. The Pro 4’s pen has a good magnetic connection and is slightly larger than that of the previous model, achieving 1,024 pressure levels. It’s also considered to be less latent, and is perfect for scribbling or playing a word-search or scrabble app. You’ll be pleased to know that you’ll still have immediate access to many of your beloved Microsoft apps on Surface Pro 4, from Edge and OneNote to People and Maps. Check the Weather App, Films & TV, Sports, News, and the Music App, or edit some of your latest holiday pictures via the Photos app. If you are small or medium-sized business looking for advice on how to make the most of Windows tablet apps, contact an experienced, expert IT development team that can help you to achieve your goals.